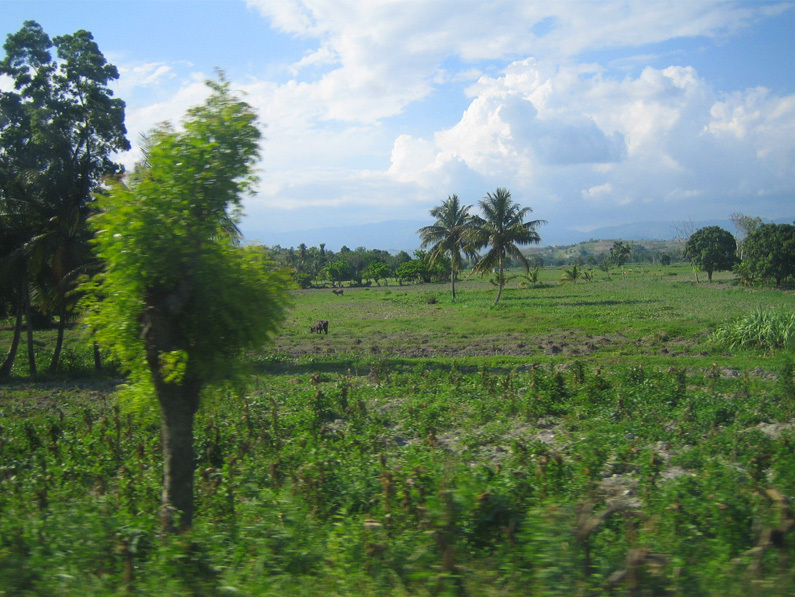 Sassier and the surrounding area have always been farming communities. Most residents are subsistence farmers, whose existence is largely dependent on good rains at the right time. 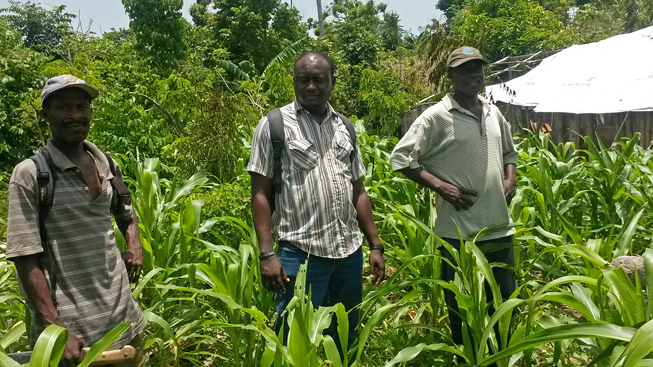 Although some agricultural assistance has been available, farming techniques are poor, seed quality is inadequate, and soil conditions are poor due to erosion, rocks and clay deposits. Hurricane Matthew (October 2016) and two previous years of drought brought agriculture in the whole area to its knees, almost out for the count. Our response is the Greater Sassier Agriculture Project, which was launched in November 2016 with the distribution of 40,000 sweet potato cuttings to farmers in a 50 square mile area. The project will result in the restoration of family based gardens, small scale farming and household animal husbandry; the re-establishment of commercial agricultural production and agricultural processing; the establishment of commercial animal husbandry and chicken and egg production; adoption of techniques and practices that provide a sustainable and resilient agriculture sector. 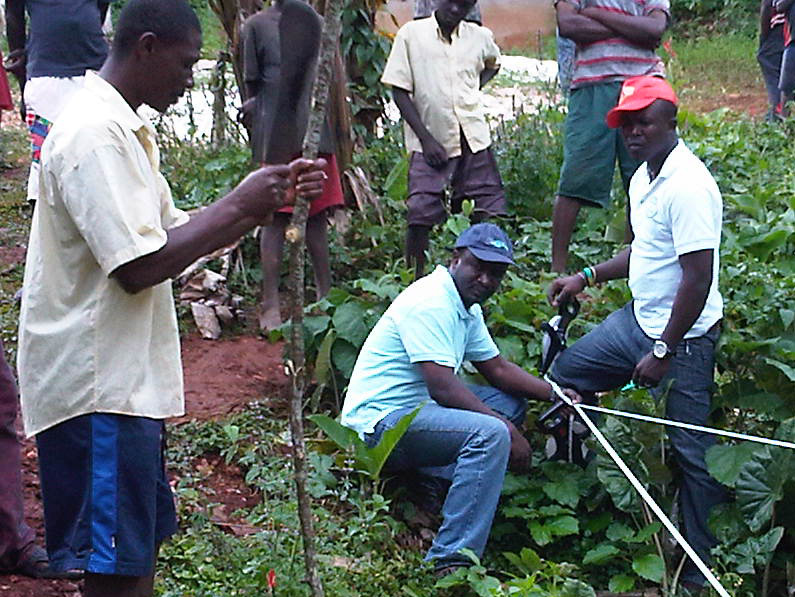 Working with 230 farmers in five areas in the rural areas of the Jeremie commune: Voldrogue, Sassier, Latiboliere, Ranja, and Vieux Bourg. Organizing the farmers into geographic-based groups to reestablish local agricultural production via provision of high quality seed; training in better agriculture techniques and processes (terracing, composting, pest control, etc. ); provision of tools; basic business training: and ongoing accompaniment and evaluation. This segment has been underway since January 2017. Goals include: small scale animal husbandry restoration, chickens, goats, etc. ; development of model family garden utilizing low-tech but reliable tools, techniques and processes. The longterm goal is to have farmer groups be a core of wider agricultural collaborative groups, which could manage and maintain commercial agricultural production operations, as well as receive crop financing and insurance, etc. Business training and accompaniment is included, but will be a primary focus in years 2 and 3. Establishment of commercial orchards that can form the basis for a commercial agricultural production industry. Creation of commercial scale nurseries for local development of trees for orchards. The focus will be on produce to which agricultural processing can add significant value, accessing national and international markets. Initially, orchards will be developed and managed by OZG, but maintained by local farmers. As skills are developed, the goal would be to have additional orchards be owned, managed and maintained by local entrepreneurs or collaborative farmer groups. Incorporation of risk mitigation methods and development of supply chain financing (in coordination with agricultural processing) will be a key to long term success. This is already in place in Haiti, e.g. Coke with mango producers in Artibonite, but has not available in Grand Anse, except in limited form for coffee and cocoa. This segment is underway as of the winter of 2017 with the planting of more than 5000 moringa cuttings in Ranja, and the preliminary development of 3 acre orchards in three separate locations. Development of commercial agricultural production facilities, which could include production of breadfruit flour, dried fruits, oils, etc. for local markets or export. Initial focus is likely to be on products with both local and export market potential, e.g. moringa, breadfruit. Moringa processing will begin in late 2017. Development of commercial scale animal husbandry for local and national markets. Initial focus will be on commercial egg production. 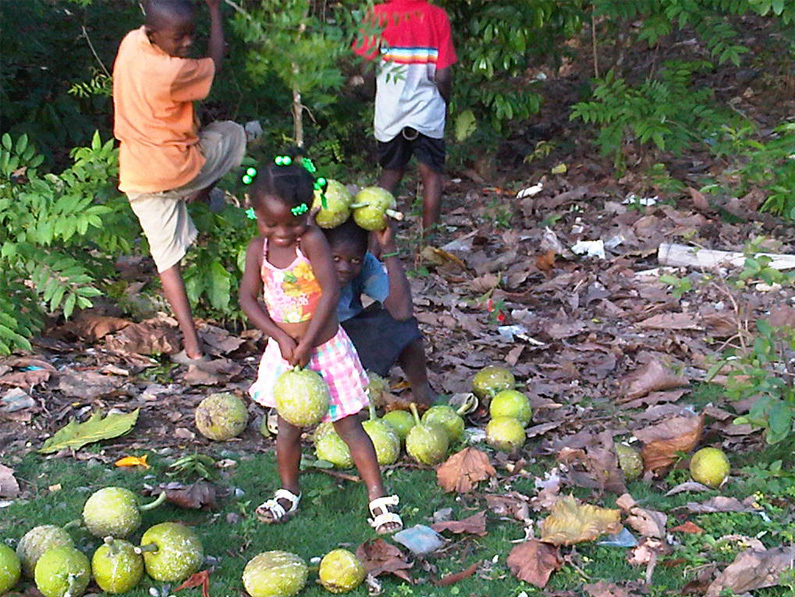 Pre-Hurricane, there was a market for more than 15,000 eggs per day in Grand Anse. Opportunity for goat production, but dependent on ability to access steadily growing export markets for goat, e,g. other Caribbean countries, US, etc. Other expansion will depend on logistics and infrastructure to access Haitian and export markets, e.g. refrigerated transport, etc.